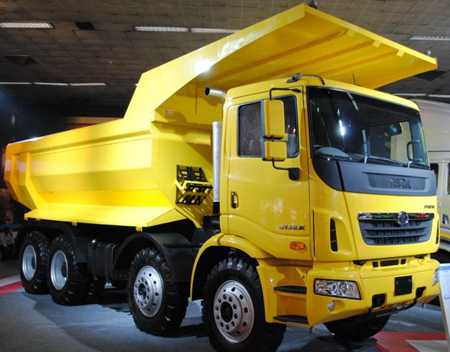 New Delhi/Doha, May 14 : Tata Motors Wednesday launched in Qatar three new heavy trucks from its 'Prima' range of commercial vehicles, along with its partners Al-Hamad Automobiles. "The launch of the Tata Prima brand in Qatar is an important milestone in Tata Motors' continued expansion in the Qatar market and the GCC region," said Ravindra Pisharody, executive director, commercial vehicles business, Tata Motors. Tata Motors had conceived the Tata Prima in 2008 which incorporates an Italian cab design, engine technology from the US and Europe, gearbox expertise from Germany, chassis frame know-how from Mexico, sheet metal dies from Japan and Korea, combined with Swedish precision on a robotic weld line.